So what are you waiting for, hit the discuss button and post away! Will we ever see an Pantorans in the Clone Wars line? Hasbro has already made several action figures from the episode they appear in, and Senator Chuchi has appeared in several other Clone Wars episodes. In the transformers crossover series is there a chance to see Dash Rendar's Outrider and the Rogue Shadow from the force unleashed game? Ive attached some images of the Iconic ships and I think would be a great addition to the series and would look great next to my twilight!! Are you planning to replace the movie line with an animated style like Clone Wars, or continue to repaint/reissue the same molds? Is there a reason why DVD packs haven't come to the Star Wars line? Anymore Mighty Muggs in the works? Will the Sandcrawler ever get the Millennium Falcon and AT-AT treatment? The footage from Toy Fair had an awesome Vader funeral pyre set with Luke and a torch. Is this piece going to be produced? If so could you elaborate on the specifics? Is the build-a-droid line going to be discontinued in the coming year? 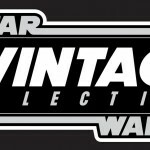 The Empire Strikes Back anniversary line is shaping up to be very exciting: new figures on classic cardbacks, Boba Fett mail-in, new AT-AT... Will there be a similar anniversary lines for other milestones in Star Wars history (Return of the Jedi, Shadows of the Empire, Episode I, etc)? Is the Extended Universe Wave of the legacy collection only a limited release? I remember seeing a prototype of the Xanadu Blood and the Droid Gunship. will they be sold this year?Also have you thought of releasing the clone wars red markings Y-Wing Starfighter? Xanadu Blood and Droid Gunship are from wave 2 in the new packaging I think. Im a huge fan of the clone wars...well mainly clone troopers....and clone commandos...when oh when will we see new clone commando figures? oh how i wish for new clone commando figures! I would REALLY like to see the Vader funeral pyre set made. It's such an iconic scene, you'd think SOME retailer out there woudl pick it up- what about Entertainment Earth? It's better than many of the exclusives they've done. How much more of the Expanded Universe are going to show up in figure form? With characters like Bastila Shan and Nom Anor coming up, can we expect more single carded/comic pack versions of expanded universe characters?